PATH Intl. 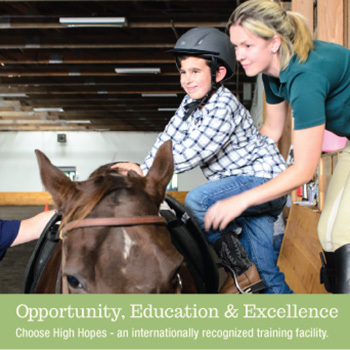 offers three levels of Instructor Certification for therapeutic riding: Registered, Advanced, & Master. 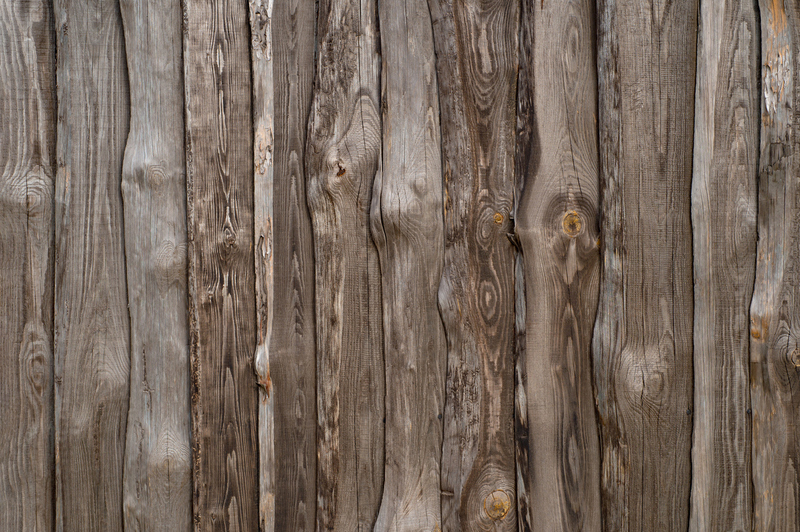 Each level has specific criteria included with the application materials. This certification is for the Advanced Level only. In order to become a PATH Intl. 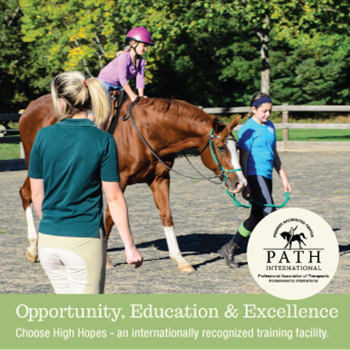 Advanced Instructor, you must successfully complete the Advanced Certification booklet and return it to High Hopes Therapeutic Riding, Inc. with a copy of your PATH Intl. membership card, and current copies of your CPR and First Aid Certifications. Participants must be PATH Intl. registered instructors with over 75 hours of instruction. 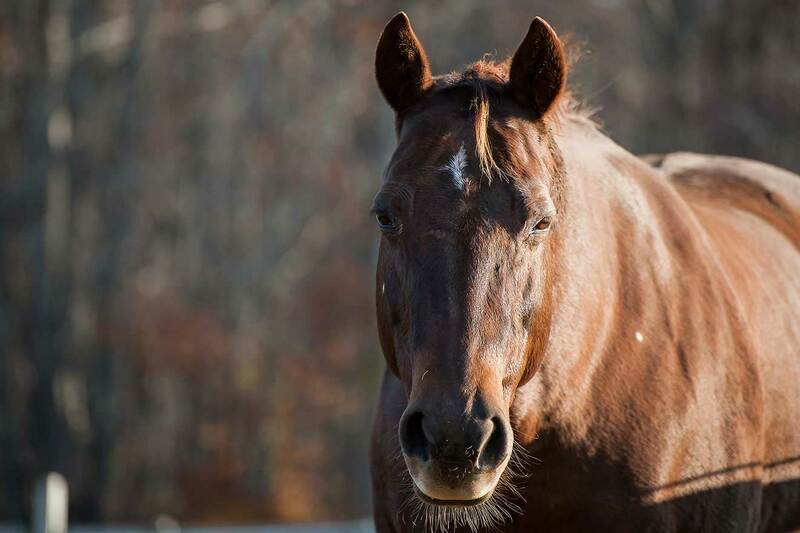 Participants must be secure riders at the walk, trot, and canter. Students in the ITC, OSWC or Advanced Certification must provide their own transportation and meals during the course. For student residence during all courses, local housing may be available and there are several area hotels and motels located nearby. A PATH Intl. 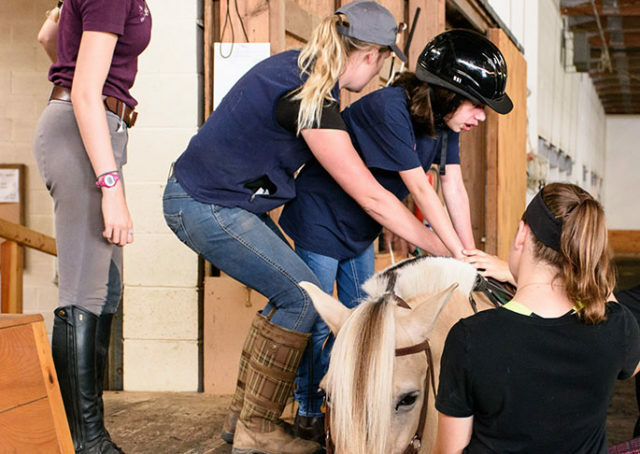 Advanced Level Certified Instructor is knowledgeable in horsemanship and understands disabilities and their relationship to therapeutic riding. 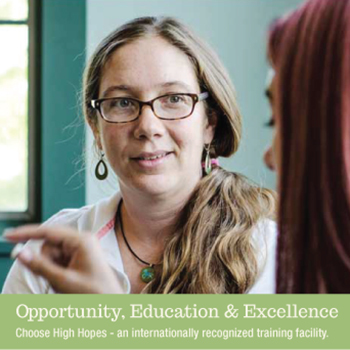 This instructor is able to conduct safe, challenging and therapeutically effective lessons to individuals with disabilities. PATH Intl. Certified Instructors who wish to progress to the Advanced level must meet a specific set of criteria, and can be certified at the Advanced level through practical evaluations and written examinations at a PATH Intl. Advanced On-Site Certification.